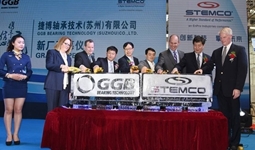 GGB's first Asian manufacturing facility began production in Suzhou, China, in 2008. Suzhou Advanti Aluminum Company Limited is wholly controlled by YHI Manufacturing (Singapore) Pte Ltd.
​Suzhou Ruikete Automation Equipment Co Ltd engages in the R&D, wholesaling, commission agency work (except auctions), and import and export of wet chemistry devices and automation equipment. ​Suzhou Shanshi Packaging Material Co Ltd has established long-term and stable cooperative relationships with many retailers and agents.